Tom Interval became interested in magic at the age of six after his parents bought him a magic set. In the years that followed, he passionately studied magic books from the library, watched as many live and televised magic performances as he could, and practiced sleight of hand for up to eight hours a day, giving his first paid magic show when he was 12. Since then, Interval has captivated tens of thousands of people at numerous venues, including Busch Gardens theme park in Williamsburg, Virginia, where he portrayed a medieval conjurer, complete with a period costume and British accent. 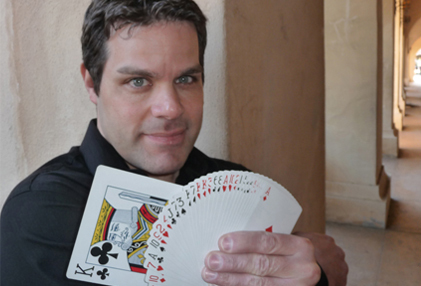 A member of the Academy of Magical Arts (AMA), International Brotherhood of Magicians (IBM), and Society of American Magicians (SAM), Interval currently provides world-class magic entertainment and training to private and corporate clients locally and throughout the United States.